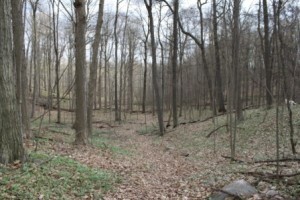 The forest awakens beneath still-dormant oak and hickory trees. 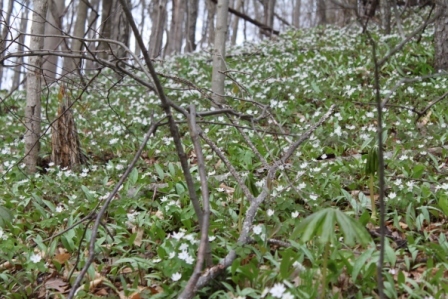 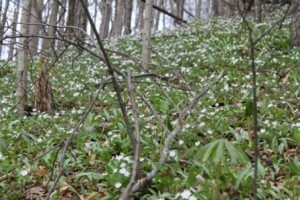 Get outside and catch the Spring Explosion of forest wildflowers! 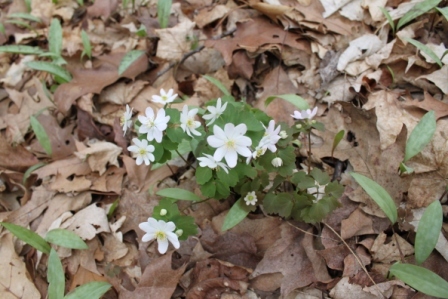 A walk in Dhu Varren Woods this weekend revealed a carpet of spring beauties, anemones, trout lillies, skunk cabbage, and bloodroot. 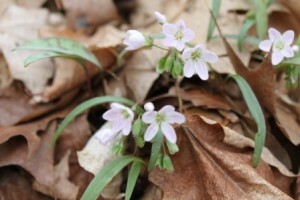 These forest dwelling spring ephemerals find this the perfect time to sprout, with longer days providing more sunshine, and the still-dormant canopy trees allowing all the sunshine to reach the forest floor. 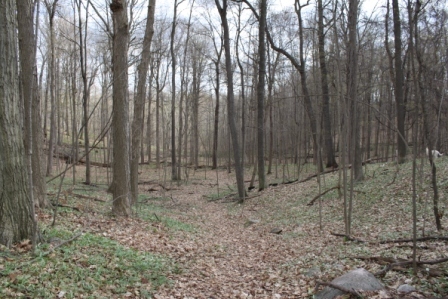 For more about the important role these forests, and other natural areas, play in supporting the Huron River’s water quality, and what HRWC is doing to protect them, check out our Bioreserve Project. 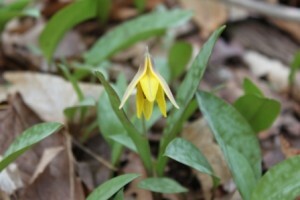 Where are your favorite places in the Huron Watershed to go for a wildflower show? Don’t keep it a secret. Share it in a REPLY to this post!